The first post of the year should be on a profound topic, like the stuff they talk about on the Sunday morning news programs watched by people who don’t go to church. However, on this night, I’m going to address a subject that may appear to be a little mundane, one that generally has an impact on our everyday lives — except for mundane activities like writing blogs, of course. You guessed it — the weather. Yesterday, the temperature climbed above zero Fahrenheit for the first time — seemingly — in months! Actually, it was some 30-plus hours, but who’s counting. Plus, we’ve had an unusually snowy winter to date. 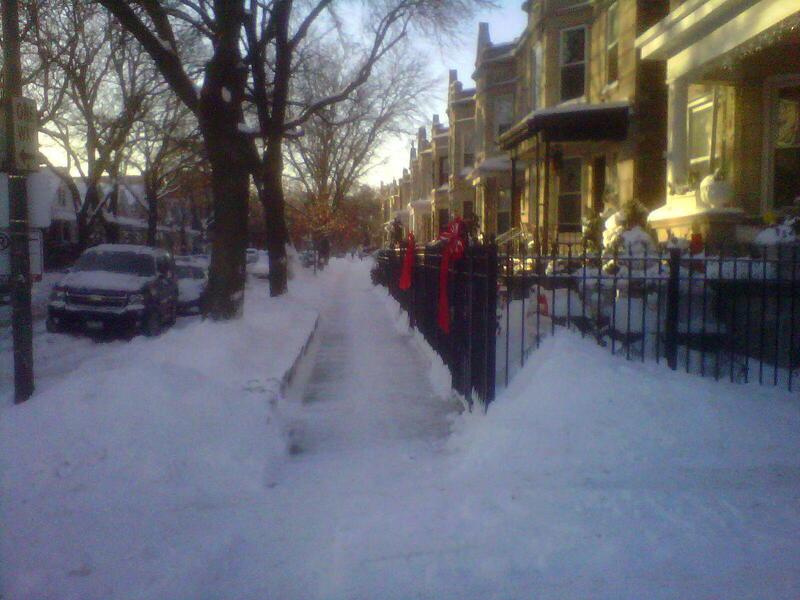 As one who has survived many cold and snowy days in and around Chicago, let me share a few observations and images about what actually takes place in a large city when a polar vortex sweeps down from Canada, usually a place that’s friendly to us Americans. It’s still possible to get around on foot, despite the popular belief that people here are trapped inside by snow and cold. Well, that’s only when people get out and shovel their walks. 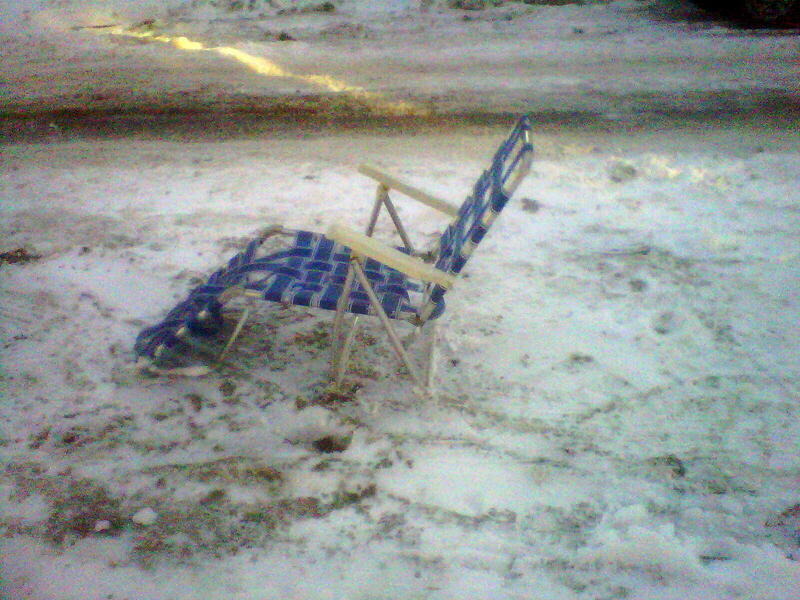 People do some wacky things, like pulling out lawn furniture as a way to make believe it’s summer. Although, the sun has been shining, so perhaps someone took an afternoon nap on this lounge. 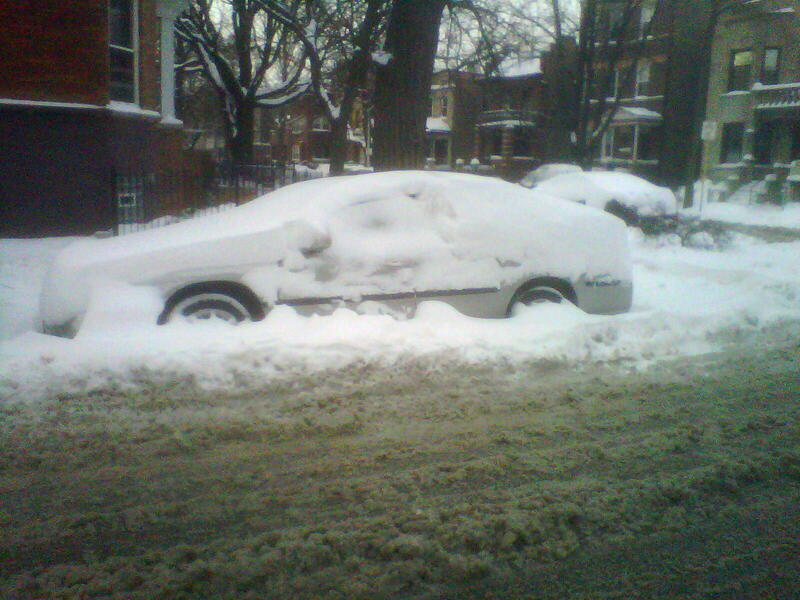 Some motorists forget that the City of Chicago only sends crews out to plow streets, not clean snow off your car. This guy or gal will probably get access to the vehicle by April. 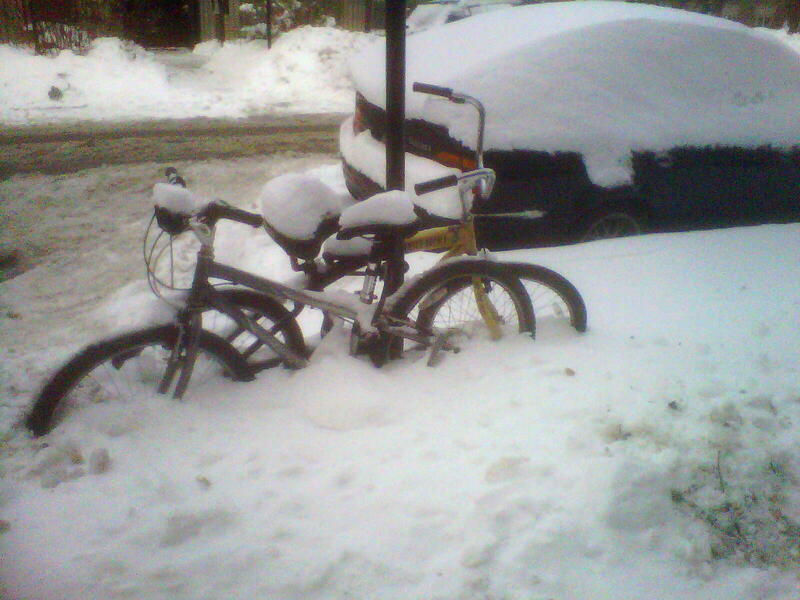 And, cyclists forget that their bicycles would be better off inside rather than chained to a pole following the nearly two feet of snow we’ve received this month. On second thought, only a dedicate thief will ride off with one of these. Yes, it gets cold and snow a lot here, as it does in other parts of the nation that has four true seasons. And, the record-setting cold we had this week — down to negative 16 degree — is downright dangerous. Add a lot of snow, and simple tasks like getting around range from challenging to an adventure to a nightmare. But we’ve been through this before, and we’ll get battered by Mother Nature again, perhaps this season. We’ll survive, and we’ll be stronger for it. A sense of humor, coupled with good gloves, a hat and boots, help. Want more from The PRDude on “extreme” weather? Read this 2011 post.